Find a distributor or get more information Contact Us! 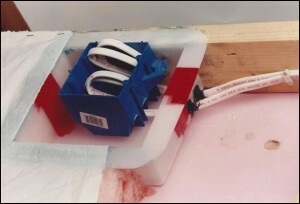 The new, improved LESSCO Air-Vapor Barrier Box has incorporated a unique “hinge” feature. 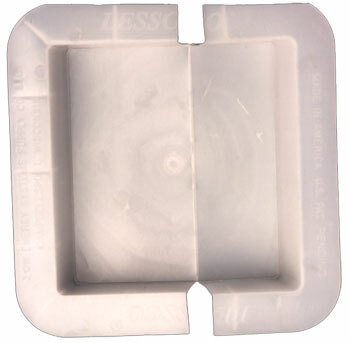 In the past, certain electrical sidewall and ceiling boxes were difficult or impossible to use with the LESSCO AVB Box. 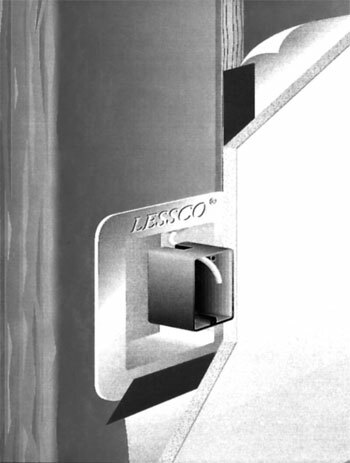 The new, unique hinge design makes virtually all current electrical boxes compatible with the new and improved LESSCO AVB Box. The LESSCO AVB Box works equally as well with membrane application or the Airtight Drywall Approach-ADA. 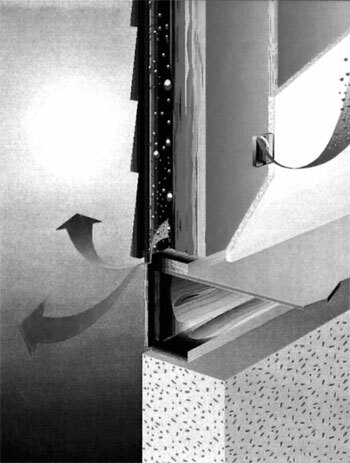 The LESSCO Air-Vapor Barrier Box was developed in 1985 by Stephen Lentz, an airtight homebuilder at that time. The product has been on the market and used throughout the United States, including Alaska, since 1985. It has endured extensive blower door testing on actual customer homes and has proven to be very effective in eliminating cold air infiltration and warm air exfiltration through electrical boxes and openings in exterior walls and ceilings. The LESSCO AVB Box has also been used with equal, outstanding results in commercial applications using steel framing, steel boxes, conduit and armored cable. The LESSCO AVB Box works equally as well with membrane application or the Airtight Drywall Approach-ADA. The LESSCO Air-Vapor Barrier Box is manufactured in the United States using low density polyethylene plastic also manufactured in the United States. The Low Energy Systems Supply Company, Inc. is owned by Stephen Lentz, an American disabled Vietnam Vet. Energy Efficient and Green construction for new homes and remodeling recommends that all electrical boxes and openings that penetrate the thermal envelope be sealed airtight. Also, the EPA and Energy Star programs recommend building an air-tight envelope in the latest Green Building promotions. 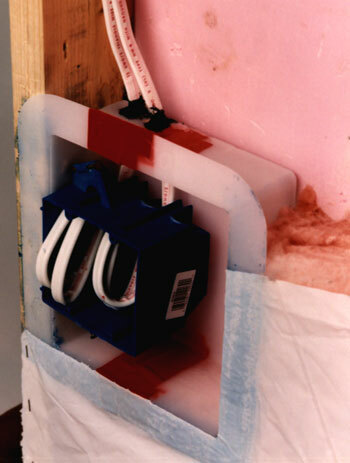 There are several ways to attempt air-tight electrical boxes. But the fastest, easiest and most effective way is to use the LESSCO Air-Vapor Barrier Box.